Ocular symptoms can be the dominant clinical manifestation of rheumatic disease in some cases and knowledge of these relationships can improve the care of both the eye and the joint disease. 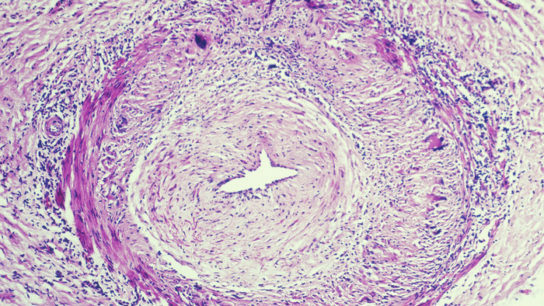 Novel nonsurgical treatments for osteoarthritis are being developed, but the benefits of new treatments must be weighed against their cost and potential risks. Investigators found evidence that both aerobic and resistance training lowers insulin resistance, but further studies are needed to determine the specific effects in patients with rheumatoid arthritis. Data suggest that patients in remission with baricitinib 4 mg daily dose who have taken this medication for at least 1 year may be able to attempt baricitinib dose-tapering while continuing their methotrexate regimen. 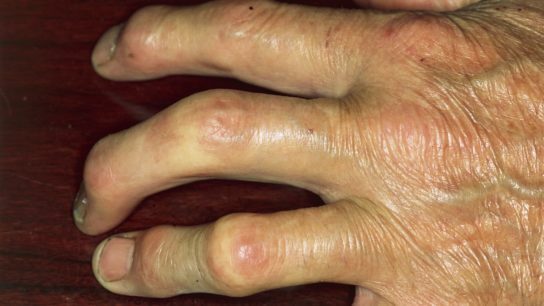 The American College of Rheumatology and the National Psoriasis Foundation have released 2018 joint recommendations for the treatment of psoriatic arthritis. Many components of diet have been implicated as possible risk factors for RA, with varying degrees of evidence. Therapeutic drug monitoring may be useful to help clinicians assess nonadherence in patients with SLE.